Highly acclaimed 2D brawler, Shank 2, finally arrives on Steam for Linux. After the official release of Steam client last year, Valve created waves by finally making the Steam client available in Ubuntu Software Center for free download just a few days ago. Barrage of games went on SALE for a full week to celebrate the occasion and now, porting of more games have been completed. 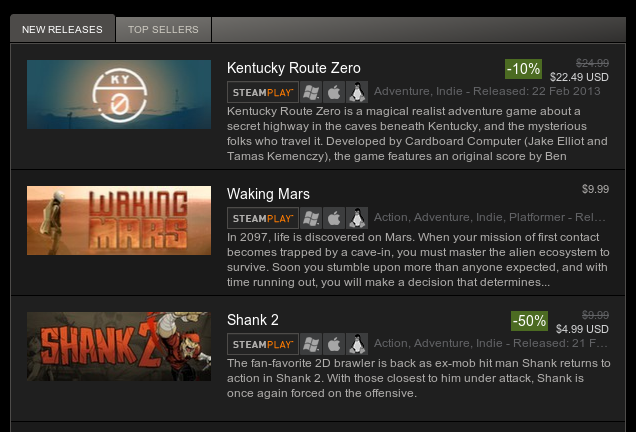 Apart from Shank 2, Waking Mars and Kentucky Route Zero have also been ported to Linux and is now available on Steam client. 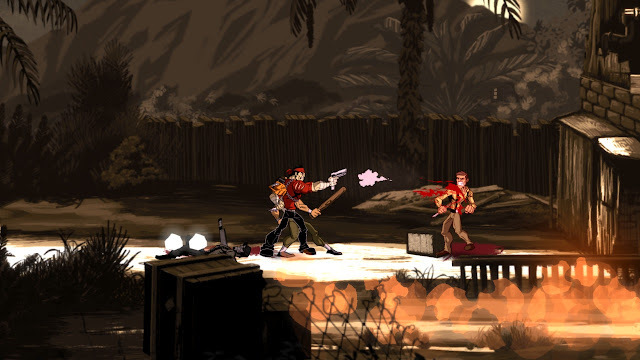 Shank 2 is a sequel to 2D side-scrolling brawler called Shank, made by Klei Entertainment. Shank 2 holds a Metacritic score of 73 out of 100. Game is currently on sale and is offered at a discounted price tag of just US$4.99. Offer will last till 27th of February 2013. Waking Mars is an Platform-adventure game produced by Tiger Style (Metacritic score: 79/100) in which players jetpack through underground Mars caves and encounter a host of alien lifeforms that operate as an ecosystem. Price: US$9.99. The game has been nominated for Best Mobile Game and Excellence in Audio in 2012 Independent Game Festival. It is available on Android as well, for a price tag of US$4.99 in Google Play Store. For more information, visit steampowered.com OR download the client from Software Center.